If anyone in the family is prone to allergies, then cork flooring is the definite winner. Suberin, the naturally occurring substance in cork, is antimicrobial and reduces mould, bacteria and other allergens. Cork’s hard surface makes it easy to clean and stops allergens collecting and growing. Another allergy friendly option is hardwood, it’s very easy to clean and maintain making it a great choice for those with asthma. Depending on the size and breed of your pets, Bamboo is probably the pet friendliest option. It’s incredibly tough and handles wear and tear really well. 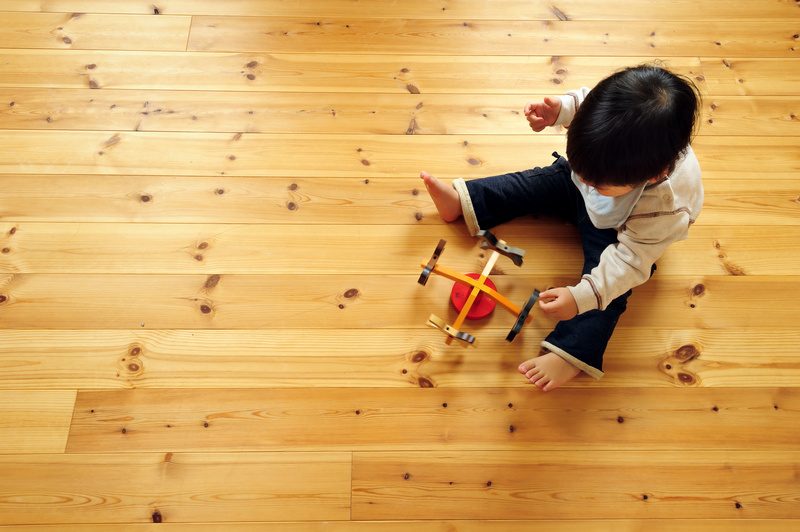 Bamboo flooring is incredibly stain resistant so it protects your floors from accidental spills from water bowls. Aside from it’s resilience, Bamboo is also easy to clean and environmentally friendly. This is always a double-edged sword and really depends on your long-term intentions. If you’re looking for flooring options for your forever home and it’s a long-term investment, then the best option is hardwood floors. The main advantage of solid hardwood flooring is the ability to sand them back and restain them when they start to show signs of wear and tear. If you’re looking for a simple flooring solution that you can self lay then floating timber and floating laminate flooring options are an ideal choice. Both highly versatile and scratch resistant options, these floating floors are available in a huge range of colours and textures. In some cases, individual slats can be replaced if they become damaged. When you’re investigating flooring options, the boxes you want to tick are durability, maintenance and value so make sure you weigh up your options to end up with the most family friendly floors.